Yahoo has recorded a drop in revenues for four consecutive quarters and a 6% drop in display ads in the final part of the year, leading to a fall in shares of more than 5% in after hours trading. The internet company said both display and search advertising had declined in the three months to 31 December, while revenues for the quarter fell 6% to $1.27bn. Overall the company's full year GAAP revenues fell 6% to $4.68bn, though it beat market expectations of $4.4bn. It has proved a turbulent year for Meyer, who has admitted Yahoo wasn't quick enough to react to the mobile platform, while acquiring blogging site Tumblr for £1.1bn and then losing the company's chief operating officer after just a year in the role. 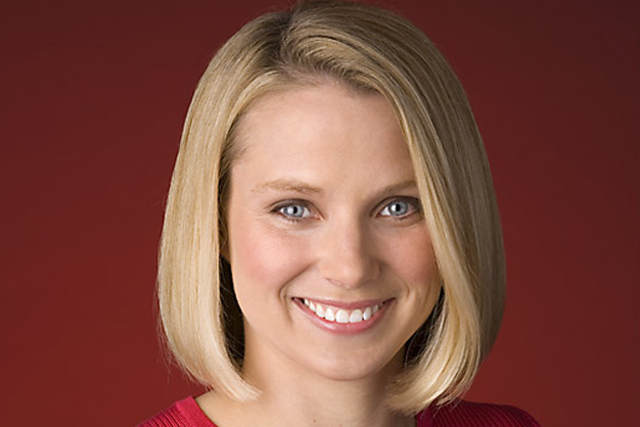 Marissa Mayer, the chief executive, who joined the company 18 months ago, said she was "encouraged" by Yahoo's performance overall, as well as the "continued stability in the business". She said: "Our investments allowed us to bring beautiful products to our users and establish a strong foundation for revenue growth. "In Q4 we launched new Yahoo mail, Yahoo Finance, and our new Flikr photo books, while quickening our pace of experimentation." However, data from eMarketer shows Yahoo lost its spot as the number two digital ad seller in the US to Facebook for the first time last year. Yahoo's share of worldwide digital ad revenues declined against Google and Facebook's, which both increased their share.